All participants must be enrolled for the Darmstadt Summer Course! The possibility of creating musical applications embedded in web pages has opened new possibilities of exploration in the areas of musical composition, sound design, gaming and pedagogy. Importantly, such web pages can be used in smartphones, which allows for creating large multi-source sonic environments. Using the mobile capabilities (from the touch screen to the motion sensors) one can design new types of collective/participative interactive musical systems. This workshop will be devoted to presenting some of the main technologies used in this area while giving participants the chance to discover and discuss the concepts and create small projects. At the end of the workshop performances will take place for presenting the results of the participants’ work as well as performances by invited artists active in this domain. The workshop is open to both artists and technologists – with or without programming skills. The participants will work in small groups to design performances and installations featuring collective musical interactions based on mobile technologies and web audio. For example, mobile devices can be used as distributed speakers, controllers, and/or motion sensing devices, affording the musical interaction of large groups of performers and audiences. 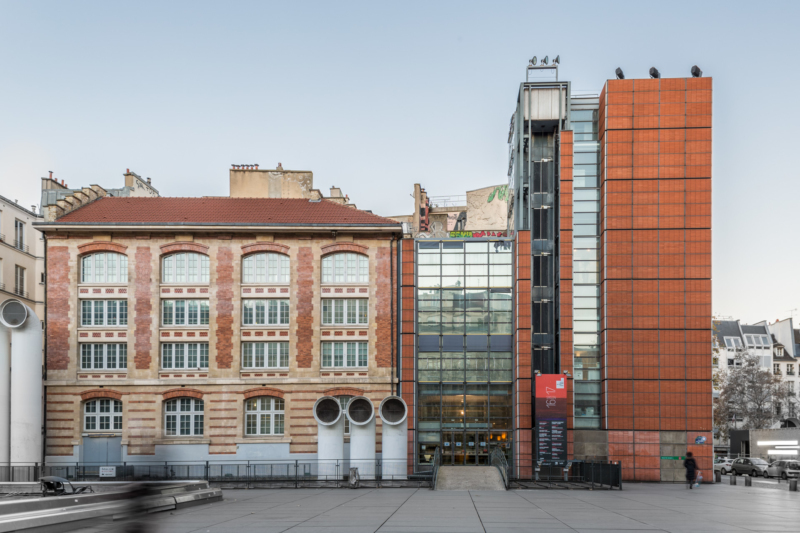 Frédéric Bevilacqua is the head of the Sound Music Movement Interaction team at IRCAM in Paris (part of the joint research lab Science & Technology for Music and Sound – IRCAM – CNRS – Université Pierre et Marie Curie). His research concerns the modeling and the design of interaction between movement and sound, and the development of gesture-based interactive systems. His research projects and installations were presented internationally, including the Pompidou Center, MoMA (USA), ZKM (Allemagne), EMPAC (USA), YCAM (Japon). He was keynote or invited speaker at several international conferences such as the ACM TEI’13. In 2006 he was the co-chair of the International conference New Interfaces for Musical Expression. As the coordinator of the “Interlude project”, he was awarded in 2011 the 1st Prize of the Guthman Musical Instrument Competition (Georgia Tech) and received the award “prix ANR du Numérique” from the French National Research Agency (category Societal Impact, 2013). Benjamin Matuszewski has studied musicology and music theory before working several years as web developer in the media industry. In 2014 he joined IRCAM’s endeavours in exploring web and mobile technologies to create novel ways to compose, perform, and listen to music. Since 2015 he is also a PhD student at the Centre de recherche Informatique et Création Musicale (CICM) of the University Paris 8. Norbert Schnell is professor of Music Design at the Digital Media Faculty at the Furtwangen University in the center of the Black Forest. He studied Music Technology at the Music University and the Technical University in Graz before entering the IRCAM research center in Paris as researcher and developer in the field of interactive digital audio processing and interaction design. He chaired the 6th International Conference on New Interfaces for Musical Expression (NIME 2006) and the first Web Audio Conference (WAC 2015). In 2013 he obtained his doctorate on key aspects of sound and interaction design with recorded sounds. Over the past years, he coordinated the CoSiMa project exploring collective interactions in the context of participative art and music projects, collaborative digital media, and music pedagogy based on mobile and web technologies.